A windfall? Yes, that’s what we call the sudden wealth that comes our way through inheritance or, say, a lottery or game show win. Won’t it be perfect? Now, imagine that you are on the Kaun Banega Crorepathi (KBC) show and our own Big B announces that you’ve won 5 crores!!! Your first thoughts would be “Yaar, mera tho life ban gaya!” Sadly, such sudden wealth stories do not always have “happily ever after” endings, thanks to a complete lack of personal financial planning. You don’t believe me? Let me share with you the story of a winner of the KBC show. One of the participants of KBC won a whopping 5 crore in the 2011 season of the show. After tax cuts, he took home about 3.5 crores. This money meant that the winner and his family could now conquer the world and live in luxury for the rest of their lives. But today, he is reportedly left with a house, some land investments, and some financial investments. He is on his way toward building his future again by becoming a trained teacher, while also giving back to the society. But there are reports of disappointments in the way the magical story turned out to be. Could the story have been any different? How can you manage a sudden inheritances or sudden fortune that comes your way? Let’s find out. The moment you receive a windfall or an inheritance, you will see a lot of “experts” telling you exactly what you should be doing with your money – some opinionated relatives, long-lost friends, never-seen-before investment planners, and the list goes on. In most cases, these well-meaning advisors are living their dream through you, advising based on their life experiences, or hoping to make a small profit for themselves. But remember that your life goals and realities are completely different and every decision you make is going to impact your life, not theirs. 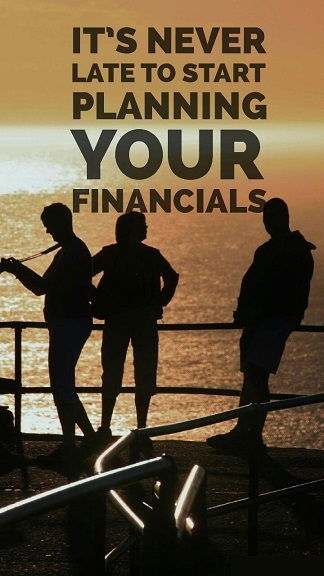 Planning your finances is a huge responsibility and often closely linked to planning your life too. So take some time off, stay away from distractive influencers, and think about what your life goals are. Include your family in the thinking process. Find out what percentage you would want to spend, to save, and to give out. Are there any mortgages or loans that you should prioritize? What about your children’s education, parent’s health, your emergency fund, a home, a new business, or charity? Asking such questions and making a clear and detailed planning will give you a good idea about your current financial situation and what it means to you about, say, 25 years from now. Consider all your finances in addition to your windfall – your assets, income, your expenses, etc., before you take a final decision. One of the biggest danger zones of getting sudden wealth is the tendency to go on a financial static or hyper zone. You might quit your job, splurge on unnecessary purchases, or invest blindly – all these put you in a financial limbo. So completely avoid emotional decisions when it comes to money and focus logically on financial growth. Learn about making smart financial decisions – not just today but also in the long term. This way you will get your financial priorities and investment plans right – the first step toward smart personal financial planning. A sudden income from litigation, inheritance, or a surprise win is always an exhilarating experience worth celebration. But once the balloons have been popped, get down to some serious thinking with the help of some serious support. Else you will either go into a financial paralysis or a joyride – both of which can be detrimental to your financial situation in the long run. Sanjeev Kumar G, an IBS Chennai Alumni, is a Certified Financial Planner (CFP) from India, since 2005. He has 22 years of experience and is an expert in various personal finance areas like portfolio construction, investment research, life insurance and financial planning. Post Office Deposits are good for short term goals, but for the long term, one should invest in hi yielding asset classes like equity with low long-term risk, which can help achieve their goals. There is no ‘be rich quick’ formula. That is the truth. If you have to create wealth you have to save systematically over a long period. Otherwise only possibility is sheer luck which nobody is sure of. Loans are not bad. But you should know how much loan you can afford and your repayment capacity. Otherwise you will fall into debt trap. A person who is not spent thrift can also fall into a debt trap. Life Insurance provide protection against financial loss due to demise of a person. High cost policies which are marketed as investment products neither will give enough life insurance cover nor returns above bank interest in the long run. I can save only Rs.4000 additionally. How can I marry of 2 daughters after 13 and 16 years from now? Cost of Marriage goal varies depending upon social status, community traditions and financial situation. Here we analysed financial situation of Thomas John and advices him on how to plan for his daughters’ marriage. College Education costs increases at a faster rate than that of normal inflation. Here we analysed financial situation of Sandesh Aggarwal and advices him on how to plan for his children’s higher education. I don’t know if I can afford to buy a Rs.10 lakhs worth car? Buying Car is a goal people start thinking about as soon as they get a job. But they seldom plan for it. Here we analysed financial situation of Sandesh Aggarwal and advices him on how to plan for his dream car. Is it possible for me to buy a land and construct a house? Buying a home, be it flat or house is anyone’s dream. But often people seems to be concerned about how to go about it. Here we analysed financial situation of Ramesh and advices him on how to plan for his dream home.